Tobindo (Malaysia) Sdn Bhd is one of the ferry service providers based in the southern part of Malaysia that allows you to travel from the Puteri Harbour Ferry Terminal in Johor to Tanjung Balai Karimun Ferry Terminal in Indonesia. 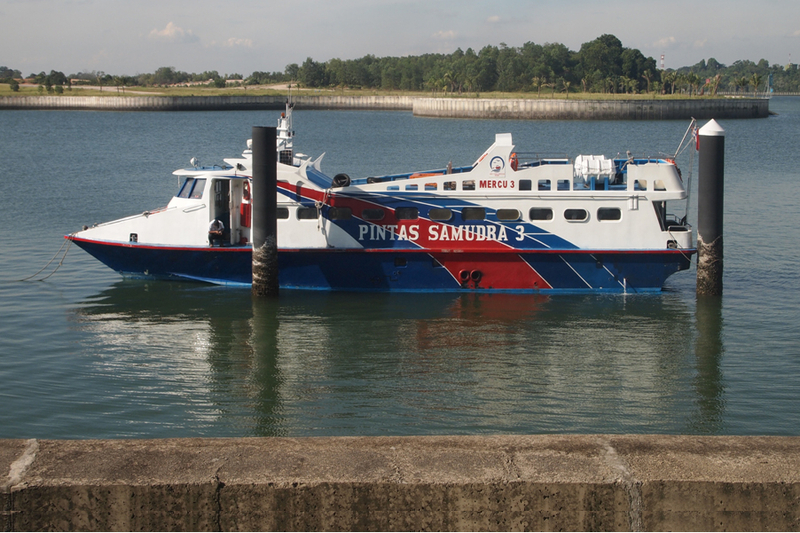 Tobindo Ferry also serves the return route from Tanjung Balai Karimum Ferry Terminal to Puteri Harbour Ferry Terminal on a daily basis. The ferry schedule is now available online and you can check the Tobindo Ferry schedule on Easybook without much hassle. Ferry ticket is available for online booking at Easybook for adults and children. On top of the ferry ticket you have paid for, passengers need to prepare some extra money for the seaport tax at the ferry terminal before boarding as it is excluded from the ticket price. All Tobindo ferries come in modern speedboats with comfortable chairs and life jackets for safety purposes. Air conditioning systems are also installed in the ferries for you to sit back and enjoy the sea view as you head to your destination. Over the main town of Karimun at Tanjung Balai is a bustling port town with a lot of commercial activities as this island attracts many tourists from Singapore and Malaysia. It is considered as one of the popular short getaway destinations in Southeast Asia. You will be able to see many tourists visiting this island during the weekends and holiday seasons that makes it a lively place go. The long stretches of beautiful beaches with snorkeling and watersport activities, with the fresh seafood become the main attractions at the beach area for the entire family. It is definitely a holiday paradise for you to enjoy while you are away from the hectic city life for a peace of mind. In order for you to arrive in Karimun Island from Malaysia, you can catch a ride with Tobindo Ferry service provider to start your journey from Johor state to get to Tanjung Balai Karimun in Indonesia. Tobindo ferry tickets are now available to purchase online through Easybook, which is the largest land and sea transportation booking site in Southeast Asia. Check out the available Tobindo ferry schedule online that suits you best, then fill in the number of passengers, personal details and proceed to payment page. You will get your ticket order summary within the next 24 hours. To make things even easier for you, you can download Easybook mobile apps via Google Play Store or Apple Store and book the ferry ticket online whenever you want. Visit Easybook website today and proceed to purchase the Tobindo Ferry tickets to Karimun Island!